Powered by a bright, 260W LED. 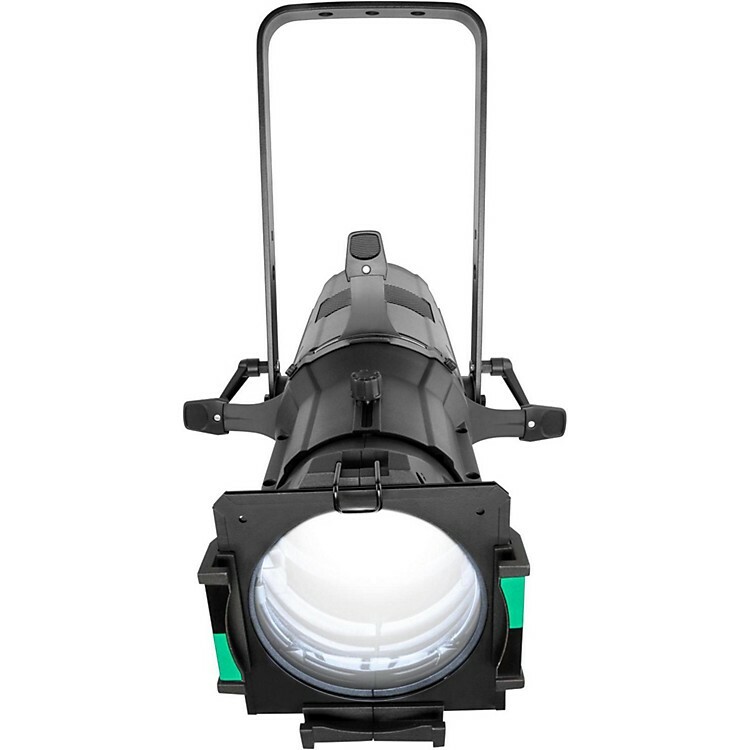 With its intense, 260W LED light source, the Ovation E-260WW is one of the brightest ellipsoidal spotlights on the market, delivering a flat and even field of light for bright, crisp gobo projections. In fact, the Ovation E-260WW’s LED engine exceeds the output of a 750 W tungsten light source. This warm or cool white ERS-style fixture boasts extremely smooth dimming down to the very bottom of the curve as well as a flat and even field of light for superior gobo projection. Control options like selectable PWM, RDM, and selectable dimming curves, round out this virtually silent ellipsoidal. Adjustable PWM makes this high-end performer film-friendly, able to avoid flickering on camera. Thanks to its passive cooling, the E-260WW boasts virtually silent operation, which is ideal for intimate theater settings, sound stages and other production facilities. Order now for flicker-free, ultra-bright spotlighting.